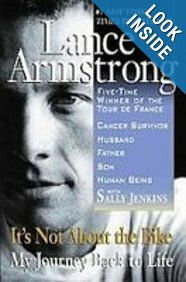 » Armstrong book fraud? Nonsense! You remember Lance Armstrong, the bicycle racer who won the Tour de France seven times. For years he denied that he was doping, and when he finally admitted in January that that’s what he had done, the lawsuits started. Various parties claimed they had been defrauded. Now, a federal judge in Sacramento has put a stop to the most ridiculous of those suits. The plaintiffs had sued Armstrong and the publishers of his two books. They claimed class-action status on behalf of the books’ buyers and sought $5 million in damages. They said the autobiographical books should have been labeled fiction instead. I read one of the books, “It’s Not About the Bike.” And I enjoyed it. The doping admission came years later and in no way canceled the fun I had reading the book. Enjoyment, or the pleasure of reading, cannot be undone retroactively. To claim that as a member of some class of plaintiffs I had been defrauded would have been preposterous.